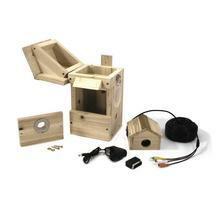 A premium camera nest box system. 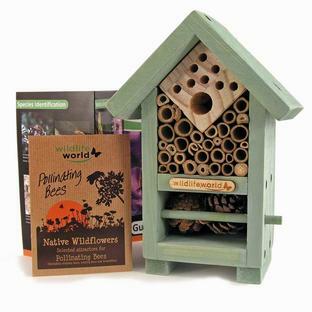 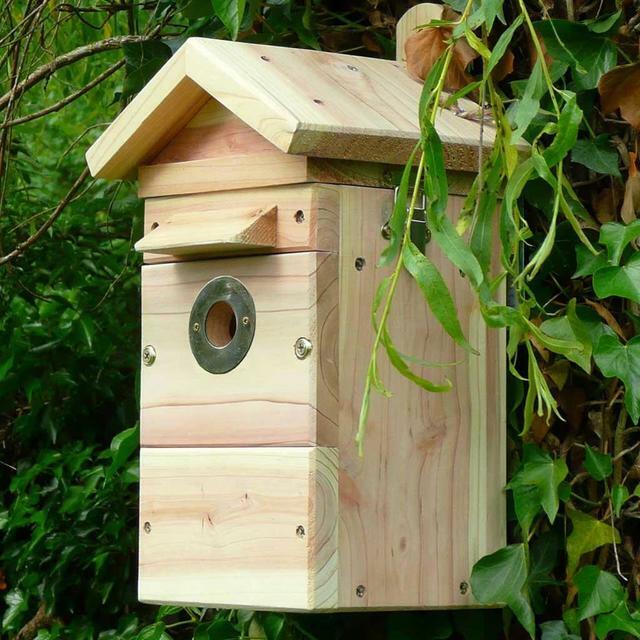 Simply put up the nestbox on a suitable tree or wall, facing away from northerly winds, and out of reach of cats etc. 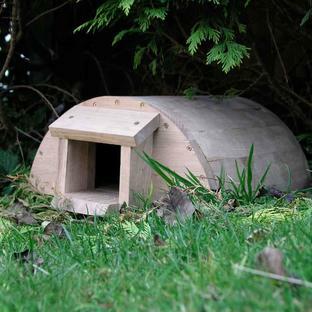 Run the 30 metre long cable back to the TV in your house and plug it in. The nest box is made of solid FSC, naturally durable timber, with an apex roof which contains the camera module. It has a 32mm universal hole protector suitable for all species of small birds, and a perspex panel on the side to improve camera colour resolution. 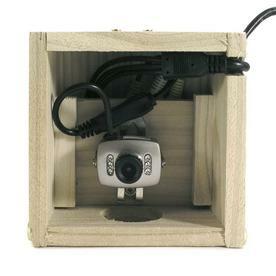 The CMOS colour/infrared camera operates in high quality colour during daylight, and then switches to black and white in low light/darkness. 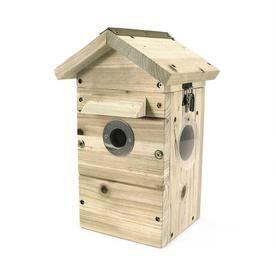 The nest box has a side window to increase light into the box, and boost camera performance. 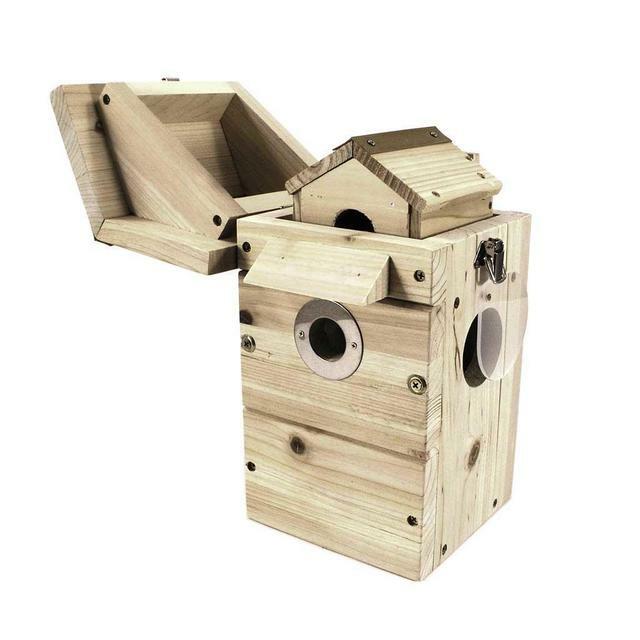 Out of nesting season, the camera module can be removed and used for other wildlife observation such as hedgehog houses, bat boxes, insect houses and covered bird feeders etc. The camera is not fully waterproof, so should not be used outdoors without its housing. Please note: The super mini camera kit is not designed to connect to a computer or laptop without the purchase of an additional USB video adapter.